If you’ve ever attempted a long car journey with young kids then you’ll know it’s a bit like holding a live hand grenade – at any moment things could get explosive. Since having kids five years ago all of our summer holidays have included a road trip so we’ve come up against most meltdown moments. Being prepared with the right car games and boredom busting ideas can make all the difference to your state of mind when you finally arrive at your destination. Another important thing to do to give you peace of mind before you depart is getting the right car insurance and breakdown cover. Make sure you are covered for motoring at home and abroad if that’s where your travels take you. What about road trips with older kids? We plan in plenty of pit stops for refreshments at service stations or stretching legs at an interesting place. When we’re towing our caravan it’s more likely to be a service station as it’s easier to find parking. But on other occasions when it’s just us and the car it’s great to visit a beauty spot or attraction. 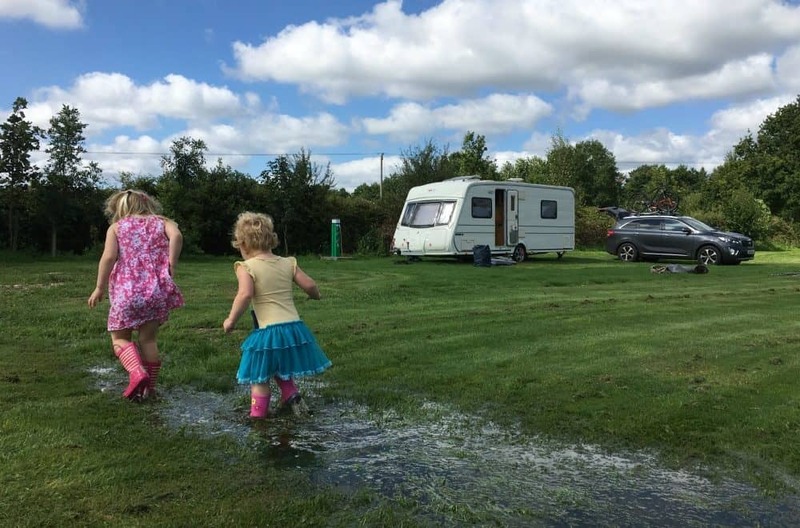 In the past year we’ve broken up long car journeys with visits to Tintagel Castle in Cornwall, Kingston Lacy in Dorset and the Longleat Safari Park in Wiltshire. Top tip: if you find yourself on lots of UK road trips get membership to the National Trust or English Heritage. There’s always a house, ruin or castle on your route! We have Amazon Prime and use it for all kinds of kiddy entertainment at home and on the go. Amazon Music has so many albums to choose from. Our girls’ current favourite is the Moana sound track which we stream to the car’s audio system whenever things start to get fractious. If you’ve familiar with my blog then you’ll know snacks feature in all my top tips for travelling with kids. We don’t leave home without them. 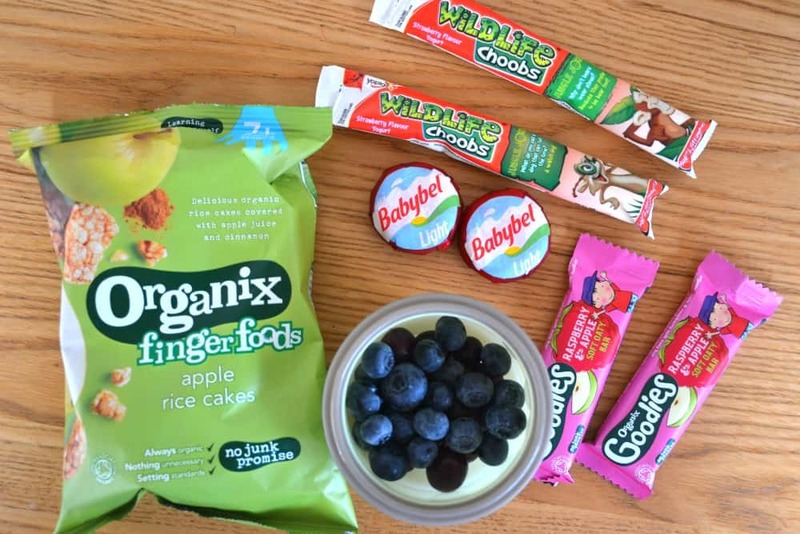 Squeezy yogurts, rice cakes, grapes, cheese snacks and the odd sweet all help to subdue wriggly kids. Our girls will be entertained for a good half an hour flicking through a magazine. If it’s one with stickers and those cheap plastic toys even better! Books and sticker books also hold their attention for a short while. For the past year we’ve been able to play eye spy with five-year-old Tot using the phonics she’s learning at school. Three-year-old Baby does her best to join in but the things she spies beginning with ‘A’, ‘B’ or ‘C’ often turn out to be ‘pirates’. Eye spy with colours works better for younger children. Something that we use a lot at home, during those moments when boring jobs have to be done, is our Amazon Fire for Kids. Tot hasn’t worked out that hers could be used in the car…yet. But we’re sure it won’t be too long before she asks for it on long car journeys. When we’re away from home we load it with her favourite TV shows and a couple of films. When these downloads expire there’s still plenty of games to be played. 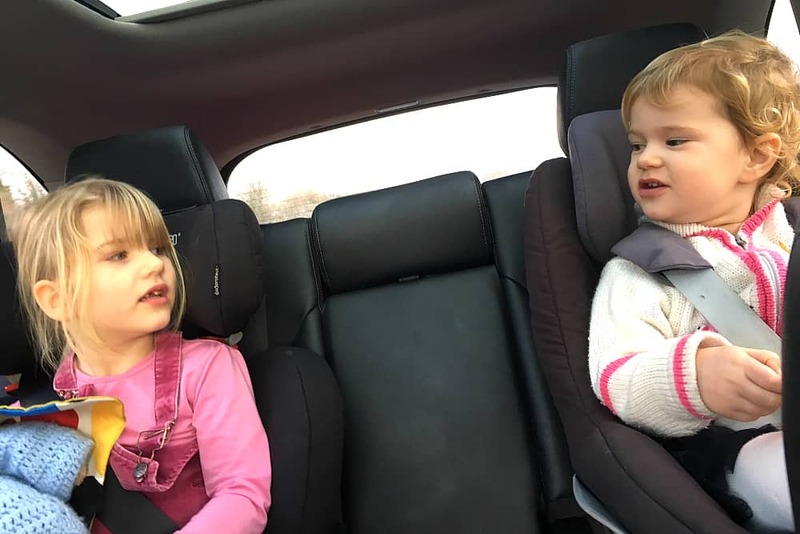 How do you entertain your kids on a long car journey or road trip? I’d love some tips for when our girls get older. Disclosurer: this is a collaborative post with Aviva. Hyundai Santa Fe Premium SE review: the best large family car for holidays with kids (and a dog)? yeah! i will also do the same things when I go for long drive! and some are give here are awesome.